Despite anecdotal evidence suggesting social media is a cause of the rise in mental health concerns for young people, Jisc’s Horizons report argues tech could help. The report, released this month, focuses on the mental health crisis amongst university students in the UK, and investigates how data can be harnessed at HEIs to support the mental health and wellbeing of students. Phil Richards, Chief Innovation Officer at Jisc, said: “Looking ahead, one can imagine a world where relevant data could be shared in a secure, trusted manner between schools, colleges and universities, and across services from healthcare to accommodation. This could provide a more comprehensive approach that follows students throughout their education”. The report comes as the University Student Mental Health Survey of 37,500 university students, also published this month, reveals “alarmingly high” levels of psychological distress. A poll from the Association of Colleges from 2017 also found that 85% of colleges reported the number of students with disclosed mental health difficulties had increased over the past three years. Better guidance in writing university references to ensure all relevant mental health information is included. Provide more staff training around mental distress and taking appropriate action. Resilience education and mandatory on-enrolment modules on financial, personal and life skills. Extend equality, diversity and inclusion assessments to include mental health. Improve metrics on mental health issues by incorporating the student voice. Examine the potential for 24/7 support for mental health issues. Make apps and other self-help support as accessible as possible. Explore the data trust approach for responsible sharing of relevant learner data and empowering students to manage their own data through a student data cooperative. Technology such as online peer support and chatbots is already making a difference, and Universities UK has published key guidance on actions that require collaborative delivery across a number of organisations, rather than just the university. 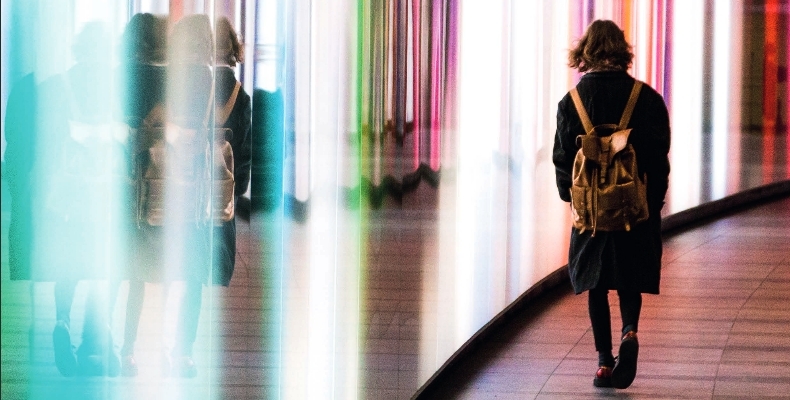 Jisc is currently working on harnessing analytics to support mental health and wellbeing. The full Horizons report can be downloaded from the Jisc website here, and Universities UK’s good practice guide for student mental wellbeing can be found on their website here.